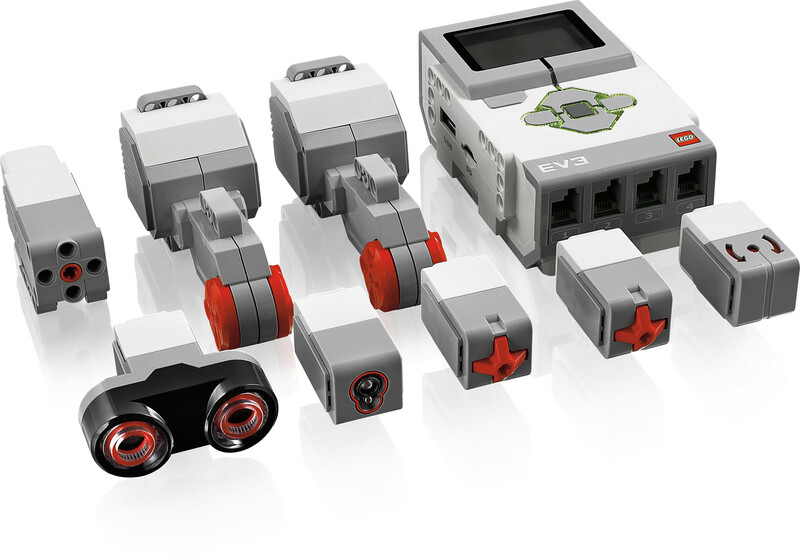 The newly announced LEGO Mindstorms EV3 sets for home and education have some differences, but it isn't clear to me what they are, specifically. It seems that have different sensors, perhaps different exotic pieces (like a remote or caster wheel) and possibly slightly different software. Granted, the sets have not been released, but, what do we know about that is different in the two sets? Both sets include an EV3 intelligent brick. The software for the education version is sold separately to the core set. As well as the programming software, includes datalogging tools, and a firmware version that allows on-brick datalogging. There is also a difference regarding sensor support: only the education version provide blocks to manage ultrasonic and gyro sensors included in that version. NXT temperature sensor and Energy meter are supported too. And of course, models being different between edu and retail versions, the building instructions that are included in the software are different. Each edition includes different Technic bricks and instructions for different robots. You can find a list of those robots at the LEGO Mindstorms EV3 Comparison project, and product pictures on Robot Square. The EV3 Expansion Set adds many Technic bricks for even more robots and is suitable as an upgrade for both sets. However, to build all robots officially published by LEGO for either set you need to buy additional parts in any case. The LEGO Mindstorms EV3 Comparison project on GitHub lists all parts in a spread sheet, tells you which pieces are missing from "education + expansion" to "retail + expansion" and vice-versa, so you can find out which parts (numbers + names) to order in addition. There are differences between EV3 Education and Home set including software, hardware and parts. The retail version includes a small amount of components compared with educational set, components that include one small motor, 2 large motors, and four sensors (touch, color, infrared proximity, and remote IR beacon). The educational set includes the castor wheel, 1 small motor, 2 large motors, 2 touch, 1 color and 1 ultrasonic sensor with red LED, 1 gyro, 1 rechargeable battery, and the possibility to download the EV3 software. I received my EV3 educational kit last week. Yes, it comes with the a rechargeable battery, battery charger, the castor wheel, and a code that permits me to download the EV3 software. It is disappointing that the educational kit does NOT come with the infra red sensor or IR remote. Also the educational set comes with approximately 500 more technic bricks than the retail version. Not the answer you're looking for? Browse other questions tagged ev3 education or ask your own question. No software with the EV3 robot? Should I buy the retail or education version of Mindstroms EV3? 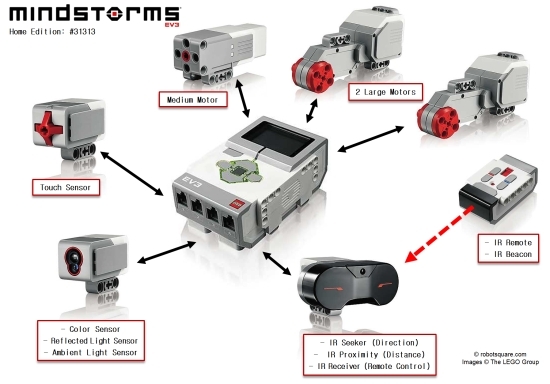 Is the LEGO Midstorms EV3 software compatible with OS X yosemite? Education EV3 Software Site Licence - installation on teachers computers? Why do I not have the Brick Datalog app in the LEGO Mindstorms EV3 V1.10E firmware?